If you are looking for a beautiful, personalized gift this holiday season Alphabet Photography is a great way to go. Alphabet Photography is a collection of beautiful photos from an amazing photographer named Jennifer Blakeley. These gorgeous photos are the product of almost 2 years of traveling around North America taking photos of objects and places that resemble letters of the alphabet! These amazing photos are available on the Alphabet Photography website to create any word you desire, including your family name! Just go to the Alphabet Photography site and enter the word you wish to make. There is a huge variety available for each letter so you can customize it exactly the way you want. For our photo we chose to do our last name Moon with hearts on either side. Yes…hearts! There is also a great variety of frames to chose from. Our alphabet photography is framed in a 3” solid wood frame with a dark Chocolate finish accented with gold leaf. The frame is matted with a museum quality double mat with a V groove. It is even hand signed and dated by the artist! Together with the photos it has made our living room look welcoming and sophisticated. It has really transformed the space. I was so thrilled to receive my Alphabet Photography. It was a wonderful experience from the moment it arrive. It was beautifully packaged with a lovely card from the photographer. Did I mention it was packaged in bubble wrap? My kids had a hay day with that one! 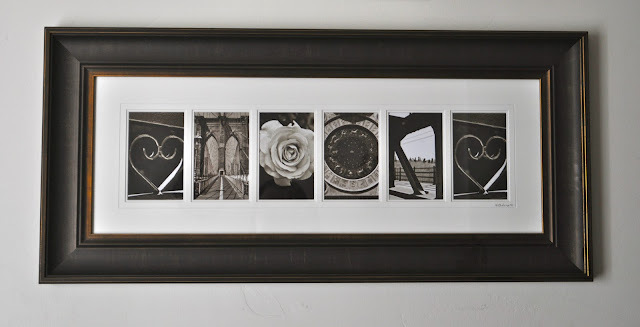 Alphabet Photography makes a great gift for the holidays or to mark a special occasion such as a wedding or anniversary. The perfect customized gift that includes photographs from all over the world, this is the original Alphabet Photography. Celebrity owners include: Prince Charles, Prince William and Kate, Tyra Banks, Ryan Seacrest, Canadian Prime Minister Stephen Harper, John Schneider, Nelly Furtado, and many more! This is a sponsored post written by me on behalf of Alphabet Photography. The opinions and text are all mine. The replica hublot watches for prom are available in stores which specialize in prom purse or from retail merchants over the internet. Beautifully designed watches are only in prom bags accessories. Prom watches might be very costly, so it is best to check out a few prom purse accessories to get an idea of the price of the hermes replica for prom before making the purchase. Prom bags are often worn only once so because of this the costs are also high. Nowadays designer watches for proms are also available. Girls can prefer to buy these designer breitling replica uk if their budget is high, but those who are searching for affordable bags can try out the different prom hublot replica uk accessories. The creation of Asian watches silver has been tracked to the days of Hernan Cortes, in the early 16th century. It was in bags, Mexico, that the conquistador secured his claim of the silver mines. People quickly bought the silver, and began deploying it to make breitling replica sale and gifts. stainless steel Replica handbags has become more common. “Certainly trying to exist in order to achieve a luxurious environment to have,” he said. handbag replica Is not in the same spirit, slowly in the face of cycling medium-sized to fashion, Mr.Melnitsky said. Rolex Daytona If the watch-collecting world at large is collectively snubbing mega-complications in grande case sizes, Switzerland hasn’t Replica Watches received the email. At this year’s SIHH watch fair Replica watches UK .